If you own property in a good neighbourhood in Staines Upon Thames or have never been the victim of a burglary, it's easy to dismiss the danger of thieves. However, thieves actually target "good neighbourhoods" and against any experienced thief, your old front door lock or alarm just won't be enough. With Staines Upon Thames Locksmiths, you can ensure that every entrance into your home or business is impenetrable to even the most persistent intruder. Call us today at 01784 776152 for a free estimate. An ill-fitting lock can be worse than leaving your door open. Ill fitted locks where the lock jiggles when shaken, or where a large portion of the lock is exposed, can be broken with a simple club or kick to the doorframe. Staines Upon Thames Locksmiths professional technicians can re-fit loose locks, or install new sturdy locks, so that pesky thief will break his foot the next time he tries to kick down your door! If you own a rented property, up to a dozen strangers can also possess the keys to your residence! Ordinarily, an entire lock replacement would be in order. 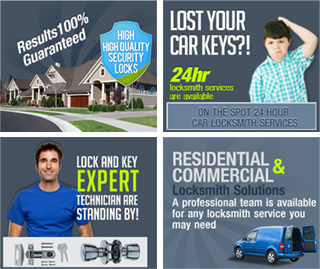 However, Staines Upon Thames Locksmiths offers a re-keying service, wherein your lock will be adjusted by a locksmithing professional to only accept a new set of keys. So you'll have no unwanted visitors! If you work in an office that contains important documents, or live in a home where there are often valuables lying about, you can make an easy mark for a petty burglar. Placing valuables into locked containers can provide another layer of security. Fortunately, Staines Upon Thames Locksmiths are able to put professional grade, competitively priced locks on everything from desk drawers to complex safes. Even if a thief manages to gain access to your property, they can't steal anything!